AS FAR as sporting scandals go there are some absolute doozies that battle it out for the title of most outrageous. Think Maradona's Hand of God goal at the 1986 Fifa World Cup. Or was it in June 1987, in the MGM Grand Garden Arena in the city of Las Vegas in the great state of Nevada, when Mike Tyson bit the ear of heavyweight rival Evander Holyfield so severely it required eight stitches and 90 minutes of surgery to repair? Maybe you'd argue it was the sandpapergate scandal which has recently rocked the Australian Test cricket team. If you agreed with any of those three mentioned above though and argued a case for them to be considered the most outrageous sporting scandal ever, sadly, you would be wrong. The answer, well, it'll blow you away. In the UK over the weekend an almost-poodunnit erupted during a crucial match of the Grand Slam of Darts. 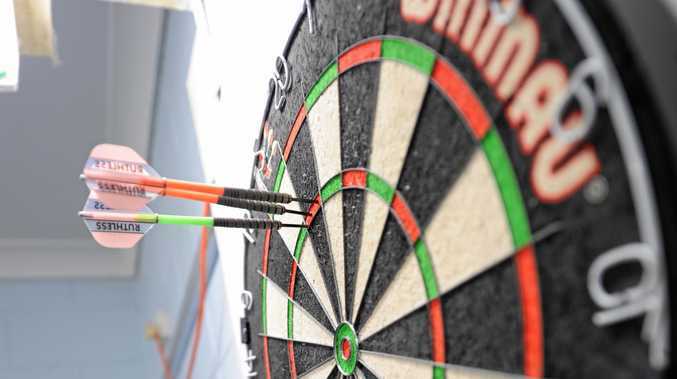 Professional darts players, nee, supreme athletes, Gary Anderson and Wesley Harms, became embroiled in undoubtedly the wildest sporting scandal to ever have broken. They accused each other of farting on-stage. The Dutchman, Harms, claimed Scotsman Anderson was responsible for a "fragrant smell", after Anderson blasted Harms away 10-2 to pass into the quarterfinals. In response, Anderson claimed it was Harms who was dropping "eggs, rotten eggs" from the side table throughout their clash. Clearly neither player was following the whoever smelt it dealt it laws, with firm denials from both sides.